My most recent articles are “Is Local Food a Social Movement?”, “Can Enchantment Save the World (Is Alternative Consumption a Social Movement? 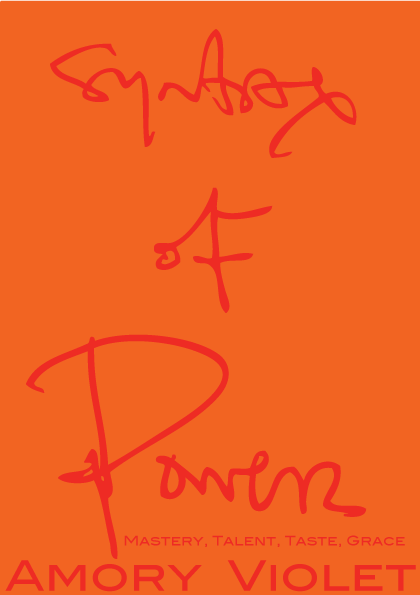 )“, and “Participatory Democracy in Action“. Here are all of my publications, lectures, interviews, briefings, and action reports. I am also posting some of my more historically interesting unpublished articles. 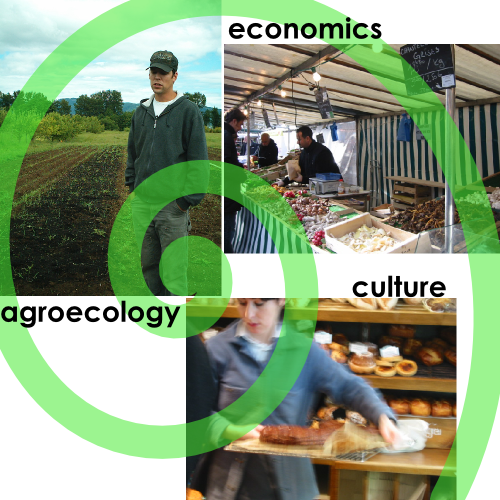 My most recent activism focuses on the Political Economy of Food. This has been a longstanding interest since I started teaching a course on this topic in 1995. At that time, the concept was so extremely uninteresting (both to the political economists and to the cultural studies people) that the university not only wouldn’t pay us but wouldn’t even allow us access to classroom space. Tony Samara and I taught the course in our living room for several years and I continued to teach it annually through 2009. By 2002, the course was drawing students from 21 different departments in 4 colleges. In 2005, I decided to create a community institution to make politics more appealing. My underground restaurant is The Viand. And in 2012 I wrote a book about how a dinner party can change the economy, Underground Restaurant: Local Food, Artisan Economics, Creative Political Culture. My education includes a Ph.D. in Sociology (Political Economy) from the University of California, Santa Barbara (advisors Richard Flacks, Mark Juergensmeyer) and a Masters in City Planning from Massachusetts Institute of Technology (advisor Mel King). As an undergraduate, I studied at M.I.T.’s Center for Advanced Visual Studies (advisor Otto Peine), which promoted collaborations between artists and engineers to create public and participatory artwork, as part of a Bachelors of Science in Architecture and Design. I also have a Certificate in Permaculture from a designers course taught by Bill Mollison himself. 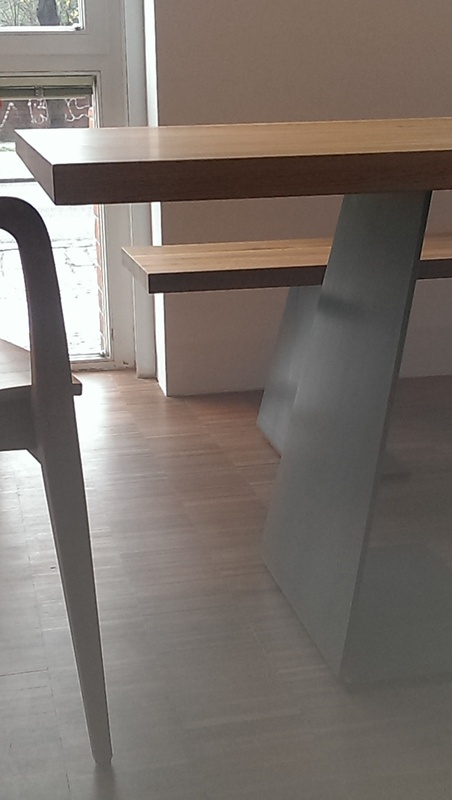 After 11 years of University professorship, In 2009, I retired from academia. 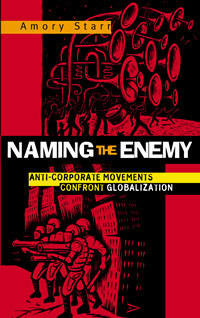 The manuscript of Naming the Enemy: Anti-Corporate Movements Confront Globalization was completed in 1998, more than a year before the Seattle WTO protests. 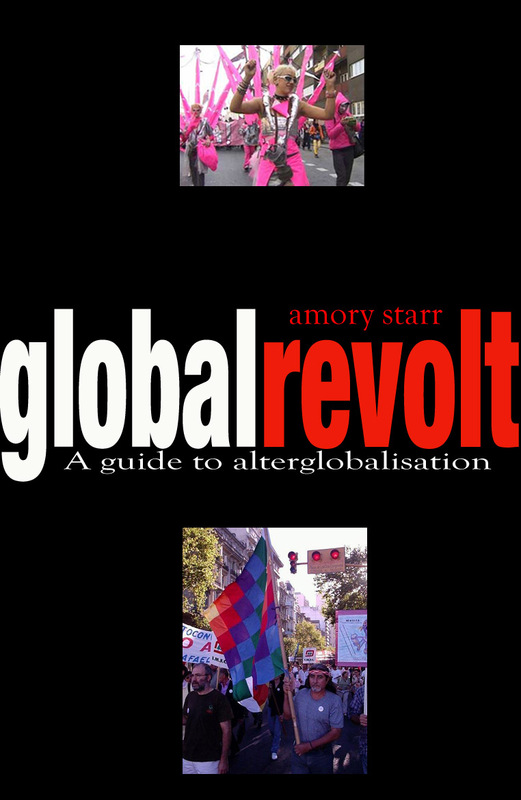 Later published by Zed Books, it is the first systematic survey of the movements which would shortly converge into the anti-globalization movement. 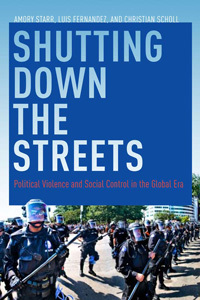 My third book, Shutting down the Streets: The Political Violence of Social Control in the Global Era (NYU Press, 2011) revives the field of social control by providing a framework for analyzing the social control of dissent. Based on extensive ethnographic and archival research, the book concludes that such control, even in the purportedly more peaceful “negotiated” form, must be understood as a form of political violence against democracy. My fourth book, Underground Restaurant: Local Food, Artisan Economics, Creative Political Culture (2013) draws on the successes of the local food movement to propose ways we can transform further sectors of the economy. 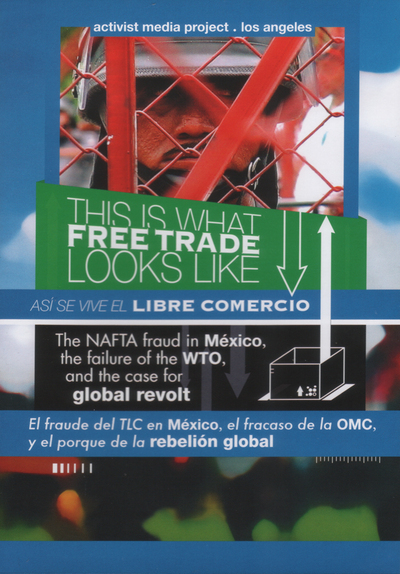 I also wrote and directed This is What Free Trade Looks Like, a 2004 documentary which examines México’s experience with NAFTA as a basis for understanding the WTO. Articles appear in Cultural Studies, Agriculture and Human Values, Journal of Social Movement Studies, Qualitative Sociology, Journal of World Systems Research, New Political Science, Latin American Perspectives, Social Justice, Journal of Sociology & Social Welfare, Socialist Register, and Journal of Developing Societies. All of these articles are available from this page. From 1999-2003, I participated in 12 different mass confrontations of elite free trade, international development, and biotechnology meetings. 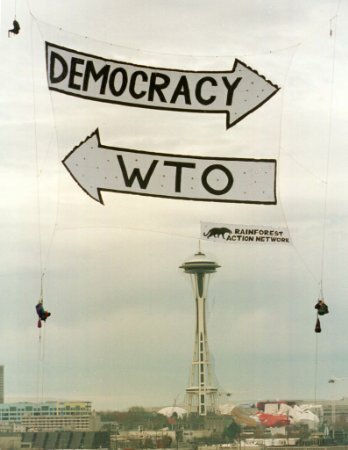 (Seattle 1999 WTO, Washington DC 2000 IMF/WB, Los Angeles 2000 DNC, Cincinnati 2000 TABD, Québec City 2001 FTAA, Washington DC 2001 Anti-War, New York City 2002 WEF, Denver 2002 ICC, Sacramento 2003 Biotech (USDA/WTO), Cancún 2003 WTO, Miami 2003 FTAA, San Francsico 2004 Anti-War). In 2004, my political collective wrote an online handbook about called “Don’t Be a Tourist: A Mass Action Handbook for getting your community on the road and into the street”. If you’re outside the US, here are my explanations of the effects of 9-11 on the US alterglobalization movement and academic self-censorship. During this period, I also worked with ad-hoc student, staff, and faculty groups to organize eight University-wide day-long teach-ins in a period of five years. These teach-ins covered, in an interdisciplinary and democratic manner, urgent current issues from sweatshops to terrorism. Over fifty different students gave presentations (many for the first time) at teach-ins from 1999-2002. We also helped organize two teach-ins on campus following 9-11. “What’s the Context?” took place promptly in September 2001 and “War=Profit: Economic Interests of the War on Terrorism” was held in April 2002. I participated in organizing committees for these teach-ins which include fellow faculty, staff, community members, current students, and alumni. Generally these teach-ins run from 9 am until 6 pm and offer about 6 panel presentations. The organizing committee (a democratic and open group) frames a series of panels to cover the topic at hand, identifies the crucial issues to be addressed by each panel, divides those into small manageable research projects, and then recruits and supports panelists in researching and organizing 10-minute presentations. At each of the 2002 teach-ins we had from 30-70 people in the room for each panel. I have also built several Permaculture gardens, participated in activist legal defense teams, and supported my students in a variety of campaigns.